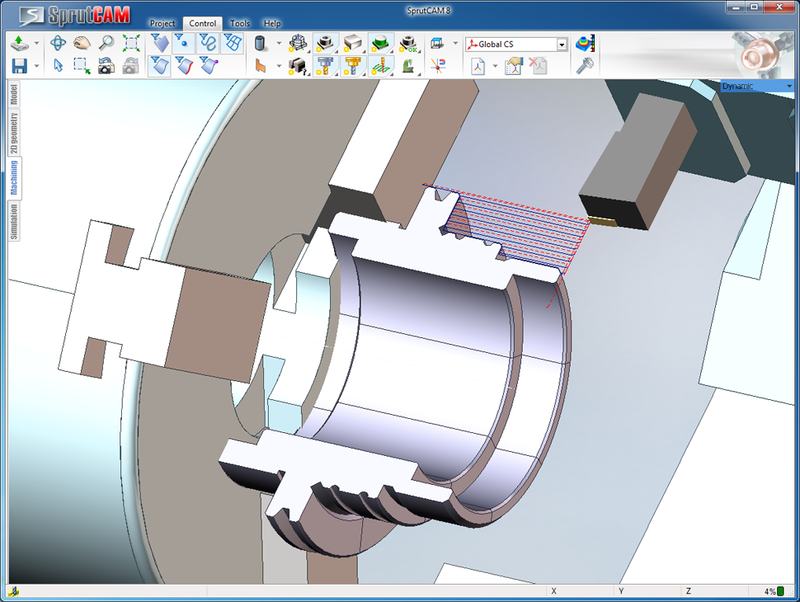 SprutCAM contains a full set of strategies for turning machining of parts of any complexity, all the known turning cycles are supported. 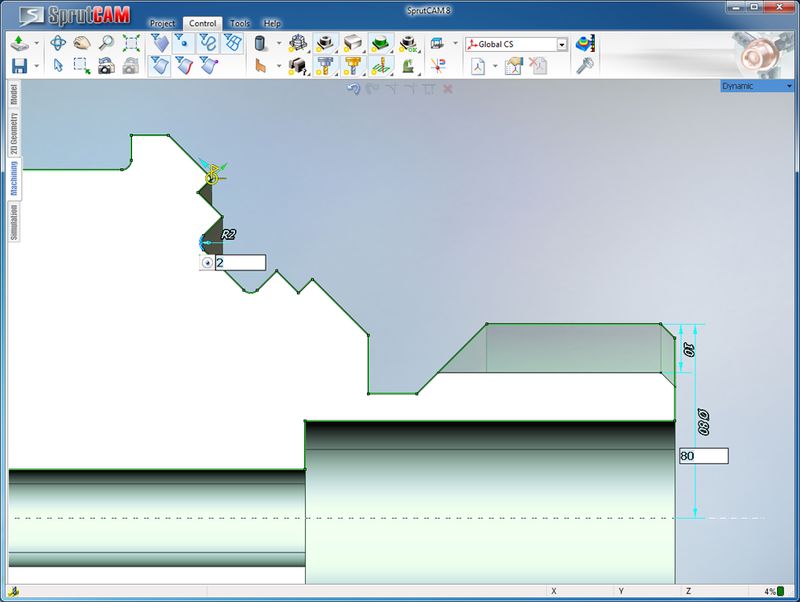 The tool paths are built taking into consideration the remaining material, the cutting modes are set automatically. Any of the turning machine’s mechanisms ranging from lunette to part catcher can be controlled by the program. The lathe machines are used for machining of workpieces from metal and other materials as solids of revolution by cutting (turning).The lathe machines make turning and boring of cylindrical, conic and shaped surfaces, chasing, surfacing and ending, drilling, core driling and holes enlarging. SprutCAM permits to create NC programs for lathe machines with numeric control. A special attention should be paid to the ability of SprutCAM to form a 3D model of a solid of revolution type on the basis of a contour, which represents a curve or a set of curves. 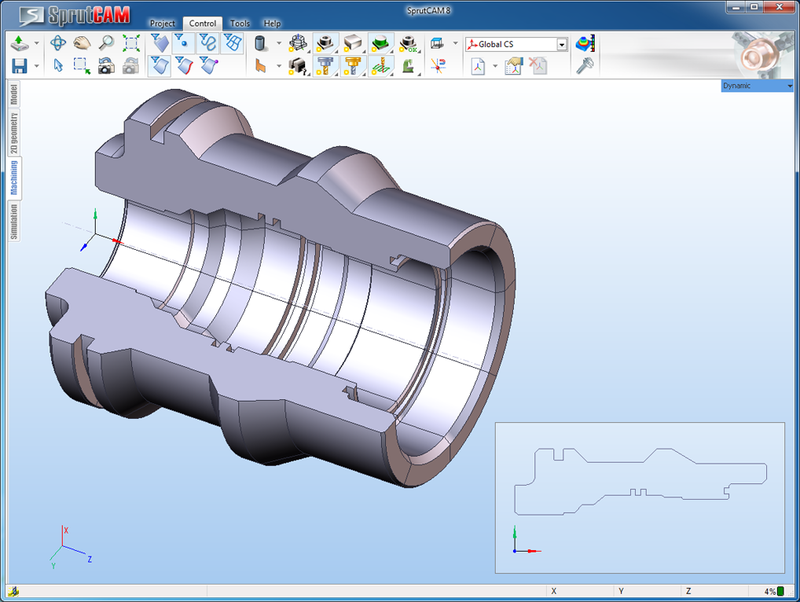 Having a drawing of a workpiece for lathe machining, a NC engineer, by creating a contour in the embedded 2D CAD system and setting it as a solid of revolution in the job assignment, sets a visual 3D model of a part. This feature simplifies the making of the engineering process. When changing and correcting the contour parameters, the system automatically adapts the 3D model of the part. When forming a set of cutting tools for the technology process of lathe machining, the NC engineer can use a database of cutting blades and tool holders already existing in the system, as well as create his own tool database, gaining a full access to all the necessary geometrical parameters of the tool created. When using typical lathe operations (except the lathe contour), all the technology parameters are filled in by the system automatically taking into account the type of the operation chosen. This permits to simplify and accelerate the forming of the engineering process when machining parts with simple geometrical forms. 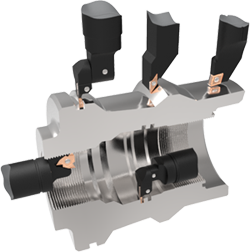 Regarding the typical operations, the lathe contour has much more capacities. 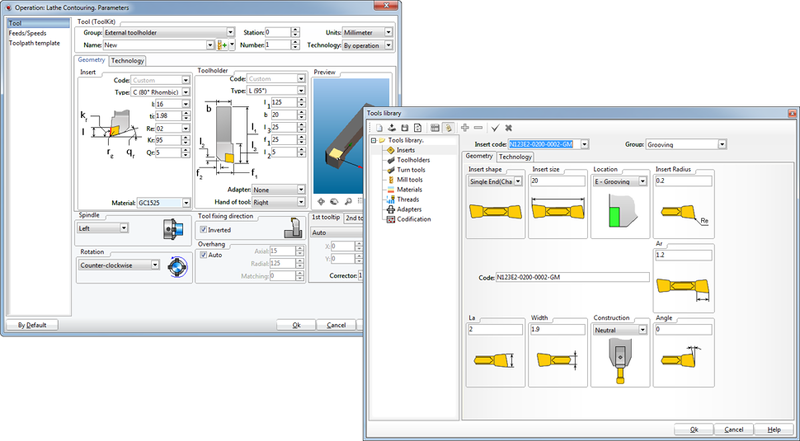 It assures a flexible and comfortable control of the tool path in the interactive way, in the graphical window. It also permits to group several machining strategies : roughing, finishing, grooving, chasing, adding facets, edges rounding. It can completely replace any of the typical operations, but unlike the typical operations, it demands from user, a deeper approach in forming the set of the parameters. 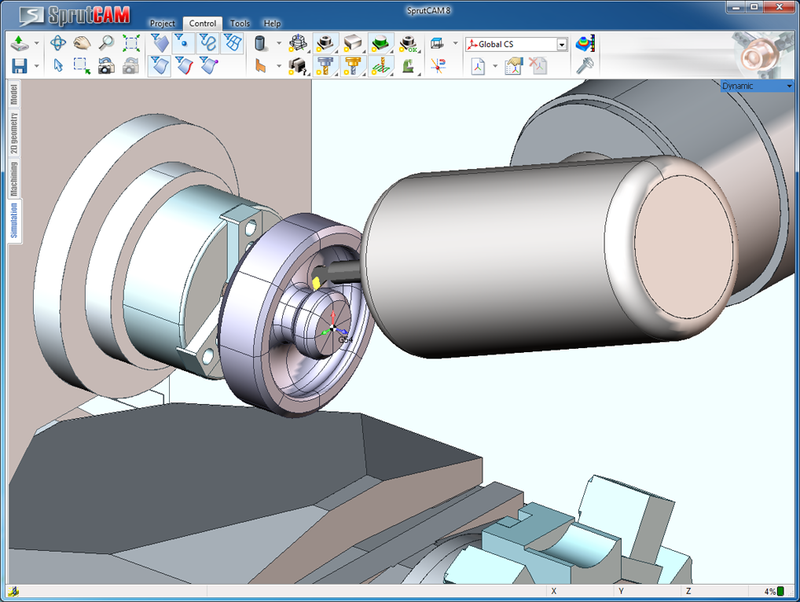 All the lathe operations in SprutCAM are available for usage with CNC lathe machines equipped with various systems of tool fixing, from simple one position tool holders to machines with several turret heads, as well as spindles which can cradle cutting lathe tools. When working with such type of machines, you can create NC programs for synchronized machining (machining with several tools simultaneously).